Generally, there are 3 different types of electrodes that can be used with tDCS; self-adhesive, rubber carbon pads, and sponge electrodes. It is helpful to understand the different electrode types so you can choose which option is best for your situation. 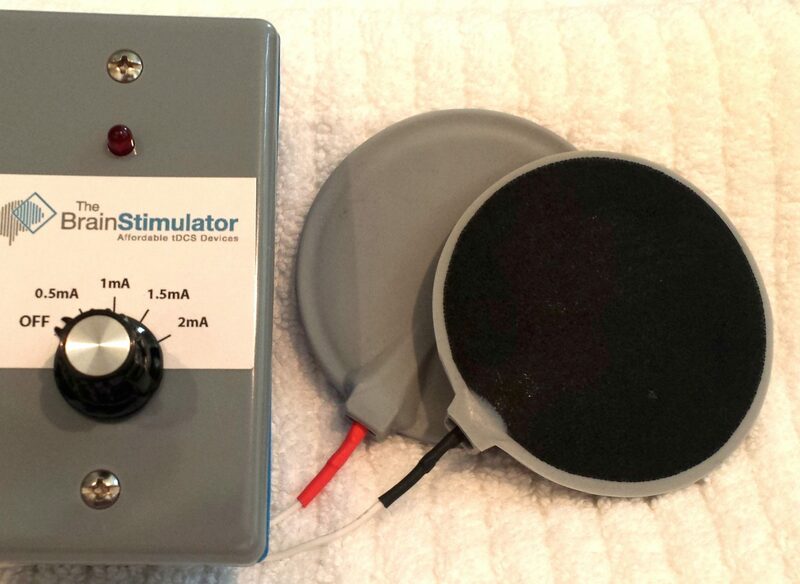 Additionally, we offer adapters that allow The Brain Stimulator to be used with any of these electrode types. Self-Adhesive electrodes are inexpensive, and require almost no preparation for use. However, while these types of electrodes are convenient, they can only be used on bare skin areas, with little to no hair. These type of electrodes require a clean surface and secure connection to be most effective. 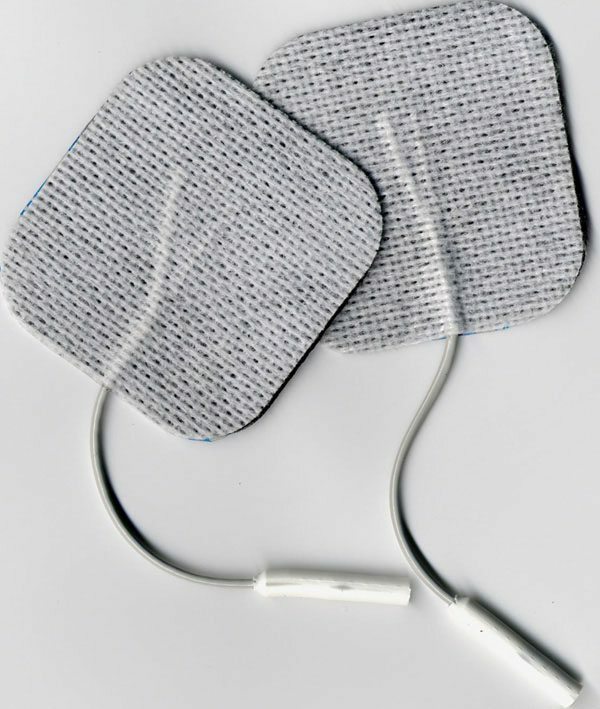 Additionally, self-adhesive electrodes are not recommended for use current ranges above 1.5mA. Self-Adhesive Electrodes often carry high-levels of resistance, and may not be suitable for all montages (electrode placements). 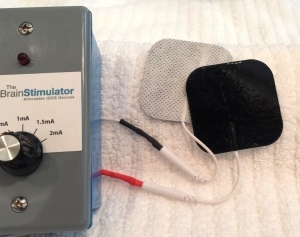 Rubber Carbon Electrodes are a little more expensive than self-adhesive electrodes, require a bit more preparation, and are generally not recommended for tDCS. 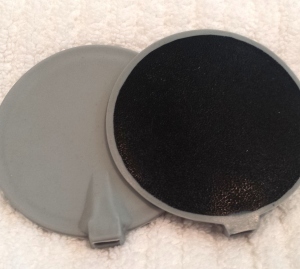 Rubber Carbon Electrodes require a specific conductivity gel to be used. The gel needs to be applied liberally and make full contact with the area being targeted. Additionally, something such as a headband should be used to secure the electrodes to prevent them from moving or sliding around. Sponge electrodes are by far the best electrodes for tDCS, however most sponge electrodes on the market are quite expensive. Additionally, sponge electrodes need to be soaked in a saline solution (water + salt), but allow the user to access even thick hair areas with ease. 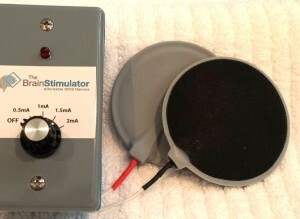 Something such as a headband is usually used to hold sponge electrodes in place during a tDCS session, and we do offer headbands for sale on our website as well. 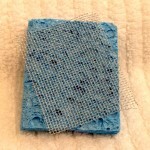 Unfortunately, we do not currently sell sponge electrodes because of their high cost. 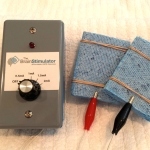 Our mission is to make tDCS affordable, and current prices would not allow us to do that. We are working on designing our own sponge electrodes which will allow us to control price. 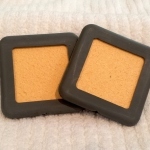 In the meantime, we do offer adapters that allow our customers to use our device with the sponge electrodes of their choosing. 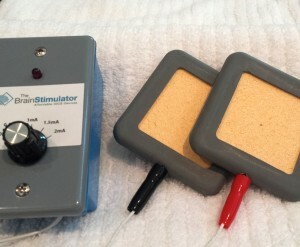 The cheapest option would be to make your own sponge electrodes. This can be done quite easily by taking a standard kitchen sponge, and attaching a conductive metal to the back such as stainless steel or copper (see pictures below). While the conductive metal is not absolutely necessary, it does help to distribute the electricity evenly across the sponges. We currently offer alligator clip adapters that allow The Brain Stimulator to be used with home made sponges. Note: Please be sure that the metal of the alligator clip is not laying against bare skin during sessions. This could cause a concentration of current on that area. 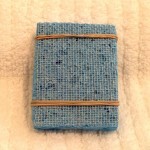 The best solution is to insert one prong of the alligator clip inside of the sponge. 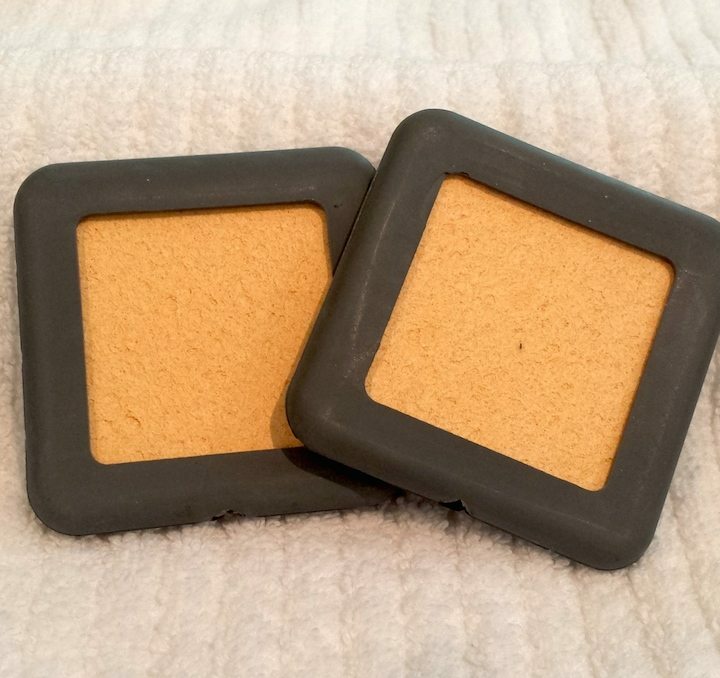 Pictured below are Amrex sponge electrodes, which are arguably the best sponge electrodes on the market, and are preferred by many tDCS enthusiasts. Amrex electrodes can be purchased directly from Amrex’s Website, but for International customers who aren’t able to purchase them from Amrex, we now offer them for sale in our online store. Additionally, you can find our adapters for Amrex electrodes in our online store as well.